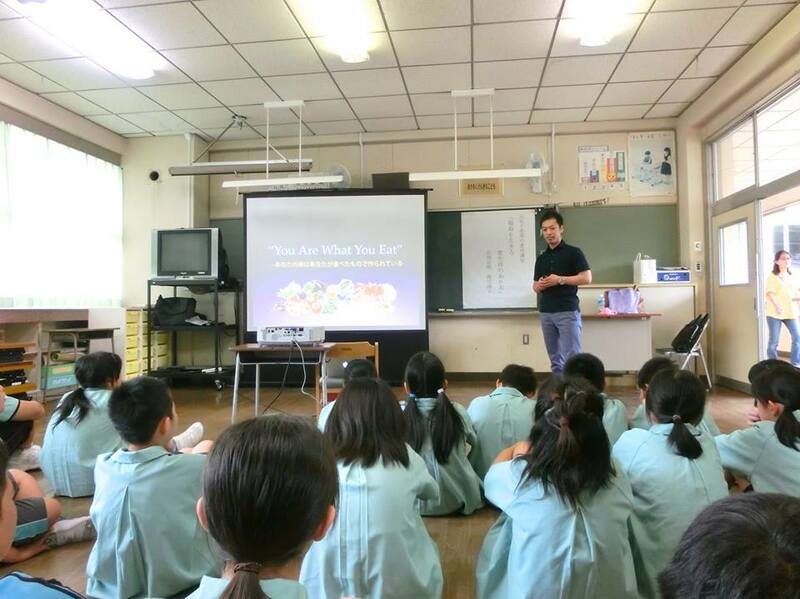 Food, agriculture education｜BIOBANK CO., LTD.
We conducted a seminar directed at children in the fifth and sixth grades at an elementary school in Fukushima. A given topic was “A diet for overcoming radiation”. We had been worried until the day how we should educate it to the children living in Fukushima and bearing the future. In addition, we received a comment from their parents that “my kid had never listened to me in the past, but after listening Dr. Takahata’s lecture, for the first time he said he would try to eat anything if he likes it or not.” It made me almost cry when I heard this story. We will continue this sort of activities so that we make a contribution in the reconstruction aid and the creation of our future.